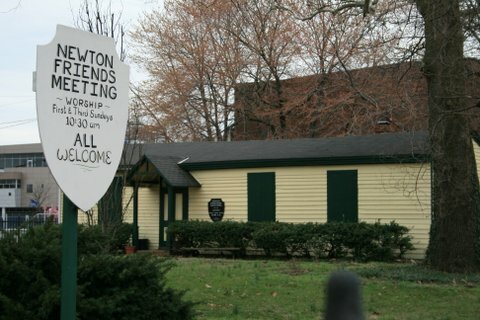 Newton Monthly Meetinghouse to be a part of the Historic Cooper Street Walking Tour! Be inspired by the artists of Picturing Camden and the history that unfolded on Cooper Street! Walking tour of historic Cooper Street and the surrounding public art in Camden, NJ. Bring along your sketchbooks, cameras, watercolors, and journals to capture your own version of Camden and its many scenic treasures as you learn about the street’s inhabitants and how Camden and the street changed over time. Sites will include Johnson Library & Park, historic homes of Cooper Street, and several others along the way. Wear comfortable walking shoes. drawing materials will be available if needed. Please reserve your spot with Miranda Powell @ 856-225-6202or miranda.powell@rutgers.edu. This tour is co–sponsored by the Mid-Atlantic Regional Center of the Humanities’ historic preservation continuing education program.